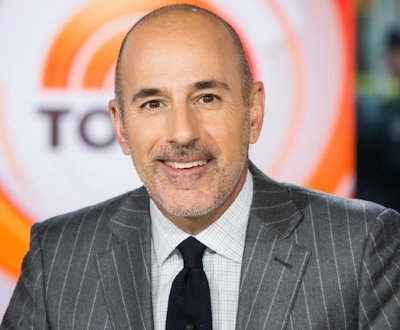 Katie Couric says of Matt Lauer sexual harassment coverage: "A lot of stuff gets misreported and blown out of proportion"
"I don’t know the full extent of all these things that happened," Couric told Wendy Williams of her former Today colleague. "I can only talk about my personal experience, and I was always treated respectfully and appropriately." Couric also said, for instance, that too much was made of the under-the-desk buttons that locked Lauer's door. "I think it was just an executive perk that some people opted to have, but I don’t think it was a nefarious thing, and I think that’s been misconstrued," she said.